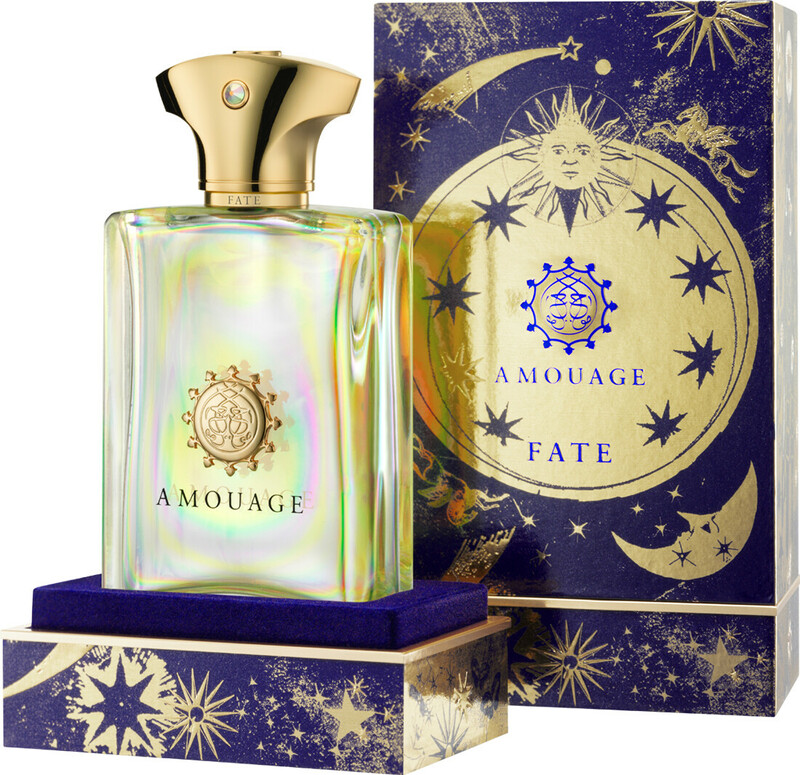 Amouage Fate Man Eau de Parfum Spray presents the haunting intensity of uncertainty. Fate’s notes of citrus, absinth and sharp ginger are a fresh yet tumultuous interpretation of the unknown. Its heart of rose and frankincense and resonating base of cedarwood, sandalwood, musk, liquorice and tonka bean suggests the power of the inevitable. An immutable tour de force that cannot be reasoned with. For this edition, Amouage’s iconic glass crystal bottle is dressed with a sundrenched rainbow undertone, and its gold plated lid is topped with an aurora borealis inspired Swarovski crystal. 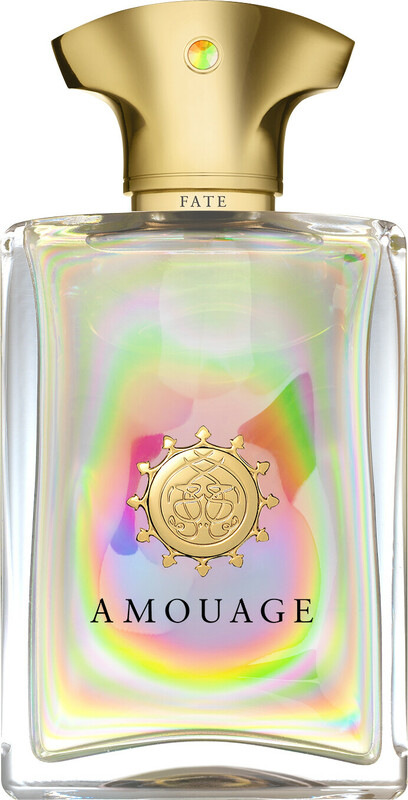 Amouage Fate Man Eau de Parfum Spray is rated 4.5 out of 5 by 2. Rated 4 out of 5 by Baggio from Spicey and strange When I first sprayed Fate I thought 'this smells wierd', kind of sweat with spice in it! There is a note in the opening that I did'nt like but after the intial blast of strangeness it mellows down to just the spices. After an hour or two it becomes very similar to Nassomatto's Black Afgano, only without the hashish note. The difference between the two is BA lasts longer than Fate but Fate has the more appealing drydown. As always with Amouage, the quality is there, from the botle to the juice itself. I would not recommend blind buying this, try first, it maybe different on your skin to mine and for the price you have to be sure! Rated 5 out of 5 by originaldeftom from Fairground Attraction! Amouage is the King of the Perfume World IMHO. This is so far their probably most 'gourmand' release for this one contains a caramel popcorn note, as well as licorice counterbalanced with the sharp opening of saffron and ginger: all ingredients we love to use for baking and cooking in the colder months. The whole scent concotion is very strong and potent what we are used from Amouage. The story-telling element is very strong and I am immediately catapulted back into my childhood, when I explored our local fairground with all the olfactory sensations of cotton candy, toffee apple, licorice, as well as the slightly sinister scents and emotions of gunpowder and the scary laughter from the horror/ ghost rides. All of this is brilliantly captured in this magical juice here and it evolves on your skin telling a story changing and morphing from one dark corner to another as if you were going from stall to stall, booth to booth, ride to ride. Halloween Galore! A true master piece!! !